Dog units are often a great deterrent for unwanted trespassers and simply their presence is enough to make them leave your site without the dog units and handlers having to do anything. K9 teams often make a big impact when guarding open spaces and vacant properties. Patrol dogs are generally deployed where Security Officers may be at risk or if there are large areas to patrol. They are trained to be safe with members of the public, but can defend their handler when necessary. K9 Security dogs are also highly effective in scenarios where a lone security guard or small units of security guards are faced with a situation where they would be outnumbered. K9 units often make for a more cost-effective way of having a further deterrent on site. At Admiral Security Services our specialist service partner has a fleet of fully equipped dog units, meaning they can be deployed at short notice and are able to operate in the most remote environments. 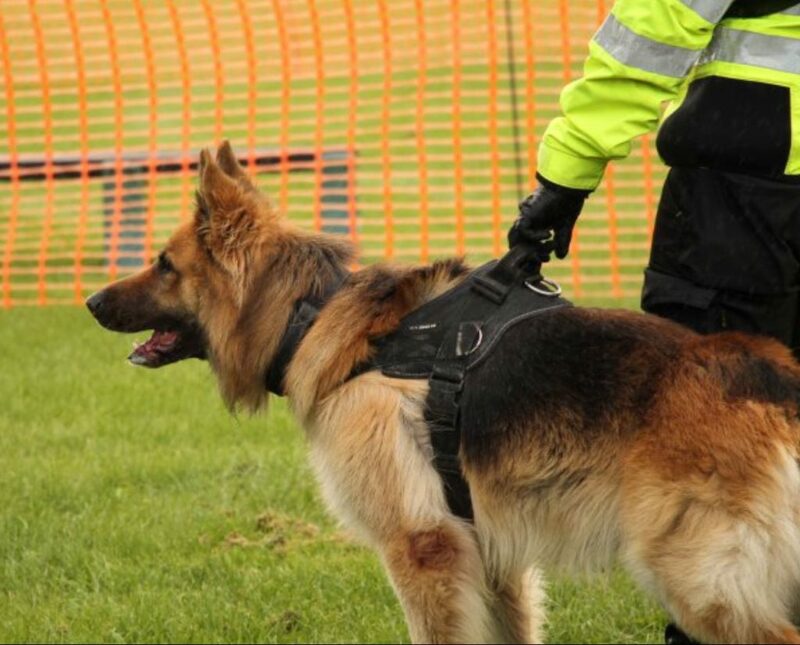 Our dedicated K9 team evaluate and analyse your site and identify any potential security risks before deploying a dog team. We always want to ensure that we implement the most appropriate K9 security measures to protect your premises from unauthorised intrusion. At Admiral Security our team are happy to talk to you about K9 security solutions to secure your property or land from potential intruders. With over 30 years’ experience providing security solutions we implement a plan that is unique to your business environment and will enhance the way in which you operate on a day to day basis. Our ultimate aim is to protect your assets – the life blood of any business or organisation.